The Executive Nutrition Program benefits busy individuals who are concerned about their stress and energy levels, aging, current weight, psychological state, aches & pain, food cravings, blood test results, side effects of medications or overall health and wellbeing. Work pressure, time constraints, long work hours, travel, or too much restaurant dining can result in low energy, fatigue, difficulty maintaining optimal weight, high blood pressure, high cholesterol, Type 2 Diabetes and other health challenges. By wisely investing in your health and nutrition for the long term, you will learn to achieve balance in all areas of your life. You will sleep better, increase your energy level, be more mentally focused and alert, and your work productivity and health will improve. It is time to take control of your health by incorporating advanced nutrition protocols! 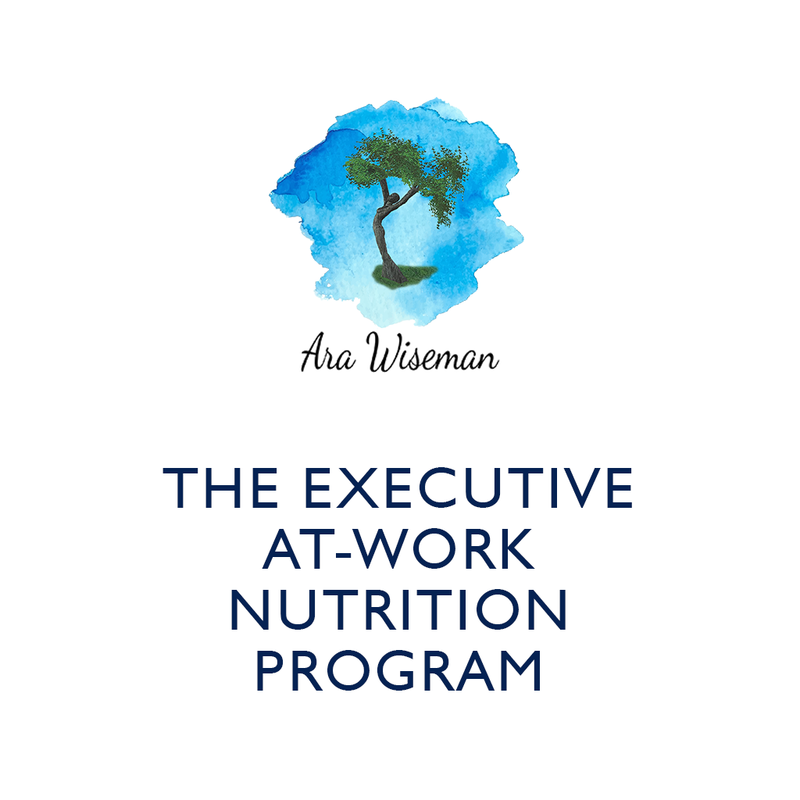 The specialized Executive Nutrition Program includes 6 one-on-one nutrition therapy sessions scheduled every two to three weeks, provided right at your workplace. Duration may be adjusted to suit your needs. Please add in picture of the green cocktail attached on the other side of the “6-Sessions Include” in that space.